Hi everybody! 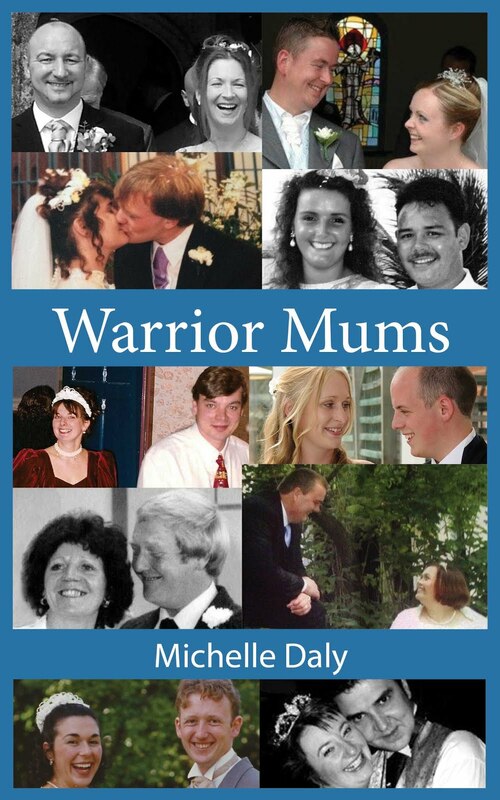 Welcome back to series 2 of Warrior Mums. There is an exciting line-up of some of the most inspiring women you are ever likely to meet. First to be featured is Dr Sheonad Macfarlane. Hope comes through everything Sheonad Macfarlane says. 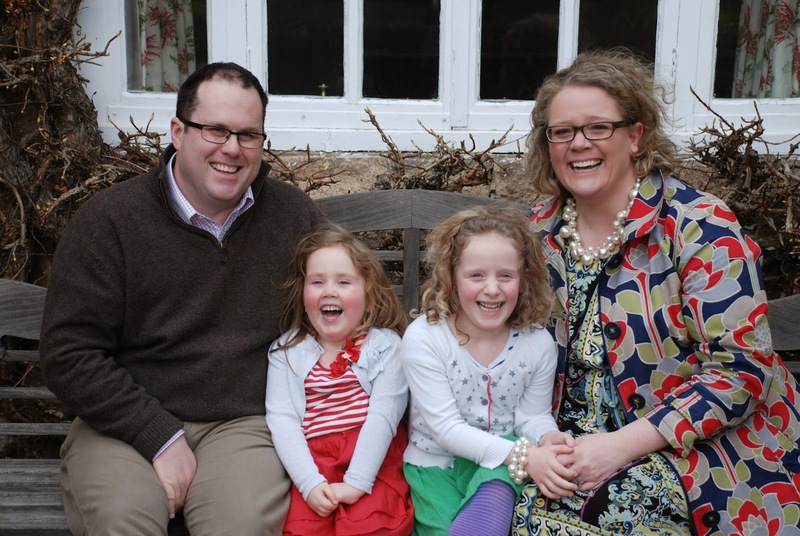 The specialist doctor, mother of two and Chair of the Scottish Council for the Muscular Dystrophy Campaign uses the word ‘hope’ liberally as she shares her family’s story of living with a neuromuscular condition. "The SMA community needs a louder, more dominant public voice; we need to be heard. We need to increase the public's understanding of what SMA is and how it affects lives. And above all we need more money and resources injected into the research of the genetics and treatment of SMA." 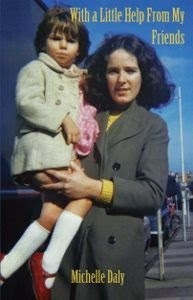 I was born in Edinburgh to Elspeth and David, childhood sweethearts of East Lothian, born of locals. Elspeth was a policewoman (and now PA to the rock star Fish), David a dentist now retired and enjoying the good life. They were married in 1973 and I came along two years later, disrupting the Saturday ritual of rugby. My peace was shattered when my brother Alan was born; believe you me, one sibling is enough... He fought to survive, having been born with a diaphragmatic hernia which had been undiagnosed before his birth, becoming critically unwell at six hours of age. After a difficult surgical procedure and time in the neonatal unit, he, thankfully, went from strength to strength and before long, I was the one hiding in the playpen, seeking safety as he terrorised me! 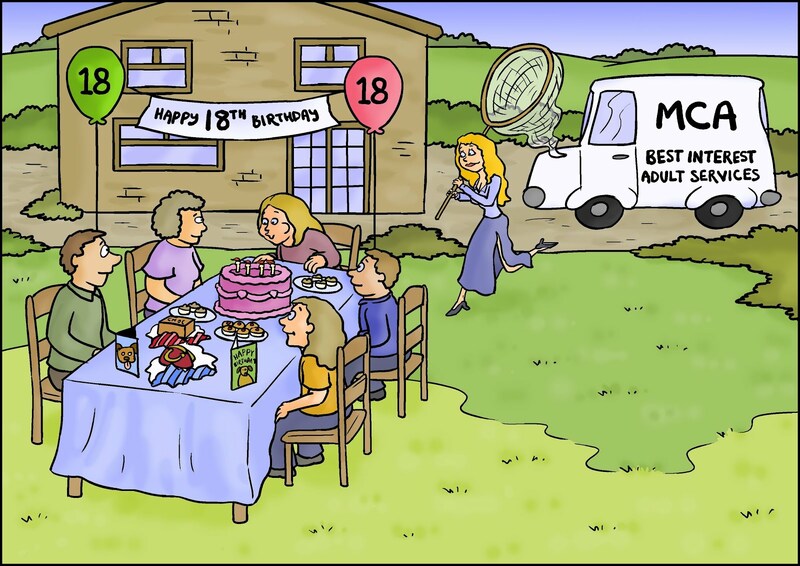 We grew up in a close extended family, all living within a few miles of each other, enjoying high days and holidays together; sometimes life felt like an episode of the Waltons and I have the most colourful memories of this time. At four and a half my school career began at Aberlady Primary, a small school on the east coast of Scotland; the fabulous teachers there started my lifelong journey of learning. I enjoyed these early years with April fool’s day jokes searching for tartan paint, ceilidh dancing and writing for a school magazine. I went on to Secondary School at North Berwick High. This period wasn’t the most interesting nor most stimulating time of my life: I was taught, I studied and I passed exams - all while swimming competitively and training twice a day. I remember the day my Higher grade exam results came out. The brown envelope arrived and it sat in the car for the day while I found the courage to open it. Just before ripping the envelope open, I remember thinking that if I got the grades I would go on to study medicine, if not then it would be agriculture: looking back now this seems so very bizarre and although I have a love/hate relationship with medicine, I’m glad I got the grades! Everything that has happened in my life - the roads and paths that I have taken, consciously or subconsciously - has brought me here to this point, to a bittersweet and unexpected life. University days flew by in a haze. I studied in Aberdeen but had a homing instinct like no other and spent many a weekend with friends and family in East Lothian. Fast forward to graduation, the challenging year of being a junior doctor, and then on to travels to New Zealand and Australia, exploring the great outdoors and reflecting on who I was. I learnt so much about myself during this time and feel that I returned to Scotland a more relaxed, confident and certain individual; I knew what lay ahead, I knew what life was to offer me. Or so I thought. My career path has been bumpy and far from direct, moving from Paediatrics based at the Royal Hospital for Sick Children (or Yorkhill to those who know it), to General Practice where I was a partner on the Ayrshire Coast, to Palliative Medicine working for Marie Curie Cancer Care. Little did I know how invaluable all of the skills learned along the way would be. M. You sound like you have a very happy marriage. How did you meet David? David and I met in Glasgow not long after I moved back to Scotland. We clicked immediately, both open and honest individuals with a great love and respect for our families. After a month we talked of moving in together; three months later we did just that and from that moment on, I knew he was the one, the one whom my soul loved. We married at dusk on a winter’s day, early 2005, in a small church on the foothills of the Lammermuirs, surrounded by family and friends. One of our readings spoke of “Marriage (being) a commitment to life, the best that two people can find and bring out in each other” and is even more pertinent today than it was then. This commitment is the cornerstone of our marriage; a marriage that is quiet and gentle, sharing and forgiving, and finds contentment in the every day. Life was perfect. Pregnancy brought not only the excitement of a new life, a life created by David and myself, but also hope; hope for the unborn child, dreams and aspirations too. Niamh was born in 2007, blue eyes and curly hair. She has led from the beginning, forging her way as only a first born can. She is kind and gentle, naturally nurturing those she meets. She is full of fun and energy, clever, loves maths, swims like a fish, watches Scooby-Doo on repeat, and sings beautifully. But she is also shy and a little fragile too. She can do anything that she chooses if she puts her mind to it. 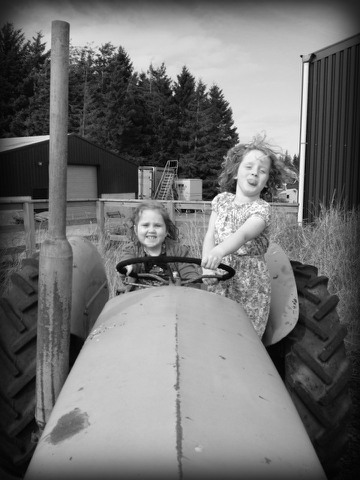 Eilidh, stubborn and breech, arrived in 2009: our family was complete. She is cute and cheeky, a little drama queen, intelligent and so very headstrong. Cake and ice cream are two of her favourite things, along with painting and swimming. Our hopes for Eilidh were just as they were for Niamh: to be healthy, happy and loved. I knew something wasn't quite right with Eilidh, but was that the doctor in me talking? I tried just to be her mummy. I tried really hard, but there she was, the doctor, lurking on my shoulder, questioning my judgement, wondering what could be wrong with my gorgeous little girl. I so wish that the doctor had been wrong, but she wasn't. She didn't cry when she came into this beautiful world, her umbilical cord wrapped tightly around her tummy. I was reassured that everything was ok but the minutes waiting to hear her cry were infinite. An emergency call went out but they were slow to arrive, but I had faith in the team that were present in the theatre. I also had faith in my daughter. I knew that she would be ok, I knew that she would breathe and cry - in her own time... From the moment that I knew she was a possibility eight months previously, I had put my trust in God. And I trusted Him at her delivery and He was present. Three days into her life, our little baby was finally named. Eildh Grace - she so suited her name. Eilidh is Gaelic for light. Grace is derived from the Latin 'gratia', meaning God's favour. A beautiful name for our beautiful girl. The months flew passed and we adapted to the chaotic life of a family of four. The sleepless nights were enjoyable as i was able to hold my daughter in the darkness, in peace and quiet, and cherish her... extra time stolen from busy days when Niamh wanted cuddles too. The first smile and giggle were as special as they could be. Eilidh sitting and commando crawling... all normal for a perfect little baby. I remember the day that she started to commando crawl so clearly; we moved house that day and there she was in our new dinning room looking out into the garden and she crawled forward towards me. I remember thinking 'It won't be long before she's up the stairs with her sister and outside causing havoc...' how wrong I was. Eilidh continued to roll about the rooms but there was to be no more crawling. Eventually even the rolling stopped. I spoke to a friend and we gave her the benefit of the doubt, but I began to worry. My GP said to give her a few months longer and the health visitor agreed but I was getting more and more concerned. Eilidh wasn't moving and she hated being on her tummy. She was unstable as she sat playing with toys. We saw a neurologist, Dr Neuron, in February; we laughed and joked and he too wanted to give her the benefit of the doubt - that her weakness was probably due to the fact that she was frank breech. He referred us to neurophysiotherapy and in turn to community physiotherapy and each day we hoped for some improvement. And then the day of the appointment came and I felt so uneasy - I think that I knew that we were about to face the harsh reality that there was something very real wrong with Eilidh. Dr N was gentle with her as he examined Eilidh again. A registrar was also present and as experienced as he was he failed to hide his worry as he noted her lack of tone and poor musculature around her trunk. And then Dr Neuron said it "I don't think that this is because she is breech. She may have a neuropathy or a myopathy but she doesn't look like a normal myopathy. I've been thinking about spinal musculature atrophy. I've been thinking about Eilidh a lot since the last time I saw her. I wanted to give her the benefit of the doubt, but I think that it's time to investigate further." I crumpled at this point. I knew this was serious, that something devastating was wrong with my baby and I couldn't hide it anymore, I couldn't hide from it anymore either. I buckled, I cried and sobbed. I think that everyone was shocked at my level of despair, but deep in my heart I knew that this wasn't going to be good news, that our lives were about to change beyond our comprehension. David took Eilidh away to have bloods drawn and as I sat listening to her cry, I talked to the Muscular Dystrophy Campaign Care Advisor or fairy godmummy. I talked to her about my post-natal depression and anxiety and this overwhelming knowledge that something was definitely wrong with Eilidh. I had been unable to place her at first, having worked with her in Palliative Medicine she was so out of context. I knew that she had changed jobs but I couldn't remember what she was doing and just accepted her presence. Now, on reflection, I am so pleased that she was there with us that day and that she is still part of the team looking after us. David and I managed to get home, we managed to talk to his mum and dad, we put the girls to bed and then we fell apart. I cried. I sobbed. I didn't know what to say or do. I didn't know what was wrong with Eilidh and I couldn't cope with not knowing. In bed, in the darkness, without being able to see the other's face, we were able to be open and admit how terrified we were. Our little girl. Our gorgeous daughter. But all we could do was wait. David had no understanding of any of the conditions Dr N had talked of and he didn't really want to know. I knew about each and every one of them but wanted to erase that knowledge and be blissfully unaware until we had the final diagnosis. But no, I sat and worried and projected a future that was uncertain and full of pain. I thought of worst case scenarios and best case scenarios.. Muscular dystrophy was ruled out on day 2 - her creatinine kinase was normal - diagnosis one ruled out. And I thought that that was the worst that could happen - how laudable! The days were difficult but the nights were worse as I tended to ruminate. I wanted to die. For the first time in my life I truly wanted to die because inside of my body was a huge gaping dark hole where my heart was once beating. I felt so empty. Difficult as it was I shared my feelings with David and he fell apart and, seeing his pain I wished that we could all die together so that we would all be spared. I was without hope. Totally devoid of hope. So we waited for the genetic test to come back. Wednesday came and went without hearing from Dr Neuron. He phoned on Thursday to apologise for the delay but the Lab had promised that the results would be available by the end of the day. Dr N asked us to come in for the results. "We got the results at 4.27 - it's SMA 2." And I broke down. I didn't need to know anymore. I didn't need to listen any more. My life was over. Eilidh's life as I saw it then was over. David didn't understand. He didn't understand what had just been said and he asked more questions of Dr N until he too realised the extent of this horrific diagnosis. I think that his moment of realisation was when the neurologist said, "She will be wheel-chair dependent." And then the despair hit him as the final punch hit home. "She'll probably need a powered chair." for me, in that moment, Eilidh lost her final piece of independence and I wanted to run from the room. I can't remember what was said after that - it's true that when bad news is broken you don't retain much of the conversation. I remember thanking Dr N and getting a hug from him and the fairy godmummy - why did I thank him for this earth shattering news? I don't know. I really don't know. And then we fled the scene. So on that day, Thursday 27th May 2010 we received a diagnosis that changed our lives. On that day we started on our journey with SMA. I was without hope. I was lost. I would imagine David felt exactly the same way, too. Eilidh was blissfully unaware and with innocence on her side, she kept us going. She was the reason to get up in the morning. Her smiles made my days. 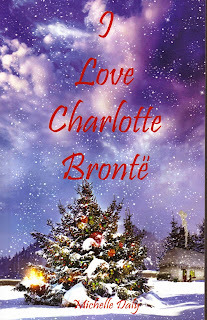 Her joy and exuberance flowed through the house and for that, at least, I was grateful. She was and still is Eilidh. No more. No less. I love her no less just because she has SMA. I will do anything for her. She keeps me going. I get up each day and I ache to see that first smile of the morning for it takes away my pain - or at least some of it." M. For those who are only just learning about SMA (myself included) would you please share the facts? Spinal Muscular Atrophy (SMA) is a genetic disorder that, generally speaking affects nerve cells (motor neurons) in an area of the spinal cord called the anterior horn. The nerve cells are a wiring system which carry electrical impulses from the brain to the muscles, controlling how they contract and relax. Part of this wiring system is damaged or lost in SMA due to low levels of protein called Survival Motor Neuron (SMN). This leads to muscle weakness, loss of mobility and motor function - such as crawling, walking feeding and head control and can also affect the muscles of breathing resulting in respiratory infections. Approximately 1 in 4 of us knowingly carry the faulty gene that causes SMA: that is a total of 1.5 million people in the UK. It is an autosomal recessive condition which means that if both parents are carriers then they have a 50% chance of giving birth to a baby who is also a carrier and a 25% chance of having a baby with SMA. There is currently no general population screening test to determine if someone is a carrier or not. Type 1 is the most common for and the most severe. Symptoms are usually apparent at birth or during the first few months of life. Weakness is severe and manifests itself with difficulties moving, eating, swallowing and breathing. The risk of serious respiratory problems and infections is high and 95% will die before they are eighteen months old. Type 2 is less severe and is typically diagnosed when the child is between 6 and 18 months of age. These children are usually able to sit at some point in their lives but do not stand or walk unaided. As in type 1, respiratory problems are common but most people with Type 2 SMA will live into adulthood. Type 3 is the mildest of the 3 types. Babies appear normal at birth and diagnosis is usually made after the age were they begin to walk; sometimes diagnosis can be made as late as the teenage years. 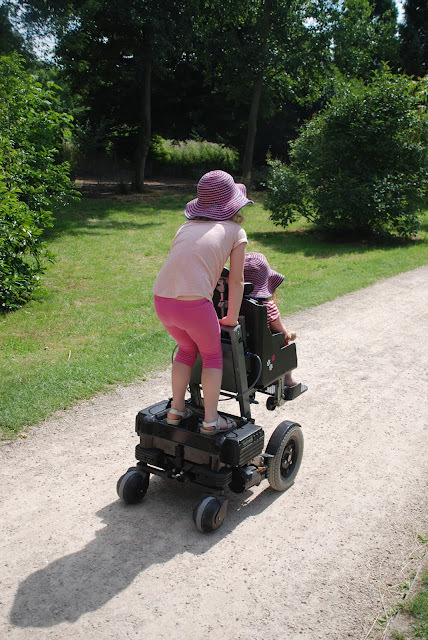 As the children grow, their larger bodies and heavier weight make walking and other activities more difficult, resulting in the need for a wheelchair later in life. Those with SMA 3 usually have a normal life expectancy. Currently, SMA is incurable and is the leading cause cof infant and toddler deaths. After cystic fibrosis SMA is the second most common lethal autosomal recessive disease in Caucasians. Given this, why do we not know more about this condition? M. Here's the million dollar question: do you receive much government support? After the diagnosis there was despair, anger, disbelief and tears. 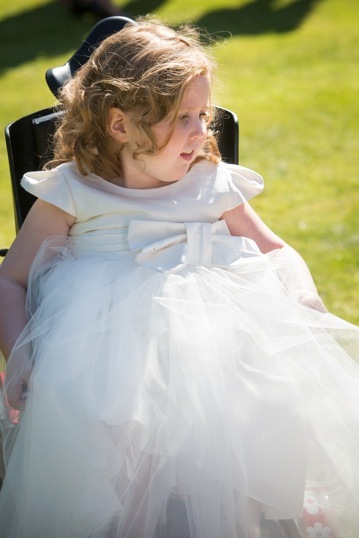 We broke the news to our families who were devastated, but our pain was palpable and they were unable to protect us or save us from the fact that Eilidh was disabled and there was no treatment or cure. No matter how I tried, I could not reach out to tell our friends but I needed to, so I emailed them - it was the only thing I could do, the only way I could think of to tell them this awful news while protecting myself. Their responses were beautifully and sensitively considered and not only helped me to cope, but gave me hope. I still look back at these letter from time to time and see them as gifts received during the darkest time of my life. Our support comes not only from our wee immediate family but also from our extended family and friends who hold us high when times are good and lift us when we can no longer carry on. Beyond this inner circle are the many doctors and allied health care professionals - including neuromuscular care advisors, physiotherapists, occupational therapists and orthotists - who keep Eildih well and me sane. 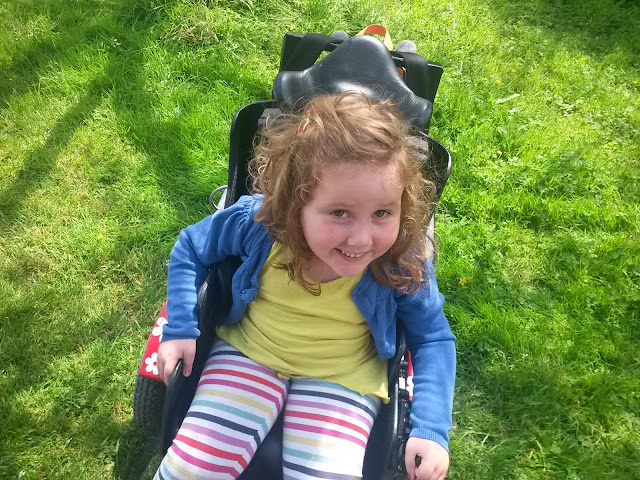 The equipment engineers and wheelchair adapted vehicle (WAV) convertors who allow Eilidh her independence and the teachers and pupil support at the local primary school who have the patience of saints! Our support comes in many forms. Over time this circle of support has increased to include many families from the SMA community - it is small and closely intertwined - who have opened our eyes to all that is possible and given us a platform for discussion, no matter how silly the question. Needing to share my story, I started my blog Touch and Tickle which has been very cathartic and opened more doors to the online world of parents who have children with special needs; the sense of belonging, the ability to share and unburden, and the support received have proven to be invaluable. Wider the circle grows to include Muscular Dystrophy Campaign to which I am now a Trustee. 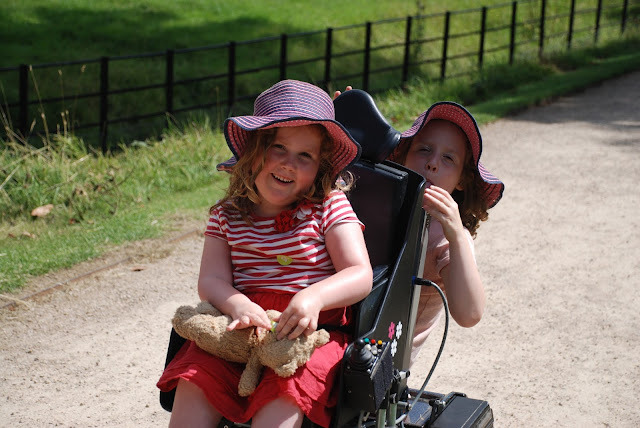 This charity is passionate about beating muscle wasting conditions, one such condition being SMA, by finding treatments and cures and to improving the lives of everyone affected by them and I am proud to work alongside them. We are lucky enough to qualify for disability living allowance (DLA) which was awarded soon after Eilidh's diagnosis. Support form our local authority was a little harder to come by, however. It took one social worker to decide we weren't entitled to any support, a self referral back to social worker some time later, seven months on the waiting list, and eleven months to complete an assessment before we were awarded six hours a month of self-directed support (because no services exist locally for families such as ours to employ someone to care for Eilidh in whatever way we deemed necessary. We were awarded those hours in December, having not yet signed the contract or taken any payment as we are still unsure how best to use them - and that's before we need to write a job description, terms of employment and manage a payroll. We have no respite which is increasingly difficult after years of interrupted sleep and lifting reeking havoc on our bodies; being a carer carries a heavy physical and psychological burden. There are no respite facilities for Eilidh. She is deemed too well for a hospice to provide respite (Scotland only has two children's hospices) and her needs not complex enough for care for care to be provided for in our own home. Occasionally Eilidh's granny will stay overnight to give us a break but with Eilidh growing and hoists now being needed, I'm not sure how much longer this will be possible for, but we will try to make the most of this time while we can. M. Sheonad, you describe yourself as 'hopeful mummy' and your family as 'ever hopeful' but the practicalities of caring for a child with SMA must sometimes be draining? SMA is a complex condition with much variety by those affected. Their ability to move is self limited, their capacity to self-care is curbed, the risk of respiratory infections high, and corrective orthopaedic surgery a probability. 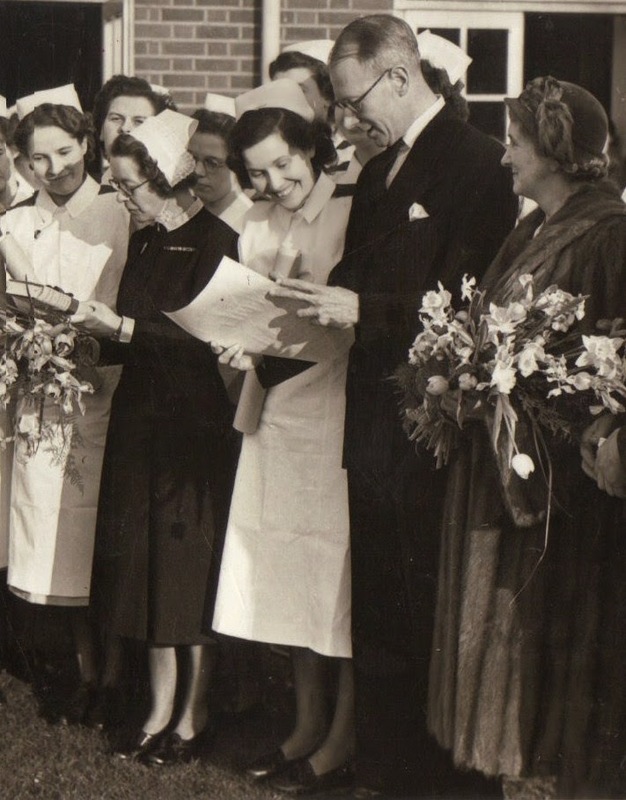 A team of allied health care professionals, an abundance of hospital appointments, specialised equipment and house adaptions are commonplace. As a parent to a child with SMA you become their carer, therapist and advocate all rolled into one. It is a 24/7 job as our children need to be turned frequently overnight, unable to move themselves. Life is challenging but it is so much more than limitations. Over time, you begin to realise that your child - and those living with SMA on a day to day basis, although profoundly physically disabled, is cognitively able and bright and has much to contribute to your family, community and to society as a whole, bringing hope and joy to many. My daughter, and those I know who have SMA, have taught me about living with the condition and disability; the learning process continues. Eilidh has grown into an amazing little girl: cheeky, headstrong, comical, independent. SMA has not robbed her of her spirit or personality. SMA has robbed her of the ability to move independently but not her independence. SMA makes her who she is, spreading joy and hope beyond anything I could have hoped for. Yes, my heart remains tender but I have grown as a person: I am stronger, more gallus and a wonderful advocate for my daughter, for my family and for SMA. SMA makes me who I am today. But please don't think that I'm a super hero, that I truly accept this twist of fate, the life unexpected now lived: I still have moments of anger, of disbelief, of sadness but life goes on, perfectly imperfect. Life is bright and good, for Eilidh and Niamh are my guiding lights, David stands strong beside me, and we are held high by our family, friends and community. I never wanted to become a professional parent, but it comes with time as you act as your child's advocate, it is a natural development. As a result I am passionate about increasing the public's awareness of this condition, recommending targeted population screening in women considering pregnancy. It is only through raising awareness that we can generate interest to raise valuable funds to research the basic science of SMA and to search for treatments which may improve the muscle function of an effected individual. Perhaps in time a cure will be found: it will not be in Eilidh's lifetime however, but that doesn't stop me campaigning for more funded research for future generations. I am also keen to improve the provision of respite services in Scotland, looking at a model which works both at home and on holiday, for those living with SMA and other neuromuscular conditions. Sheonad, thank you for sharing your story. I wish you and your family well in the future. What can I say? I am passionate about justice and fair treatment for anybody and everybody and cannot stand bullies. I enjoy life but when things get too much and the endless fighting for my daughter's rights gets me down, I write to keep myself sane. NINA NI'S JOURNEY - !7 YEAR-OLD AUTISTIC SON WENT FOR A 3 MONTH ASSESSMENT 200 MILES FROM HOME AND HASN'T RETURNED..
CAROLINE NEEDHAM'S JOURNEY - Cortical Dysplasia - Epilepsy, Autism, Learning Disability, Repeated knee dislocations. EMMA (4FACS) MURPHY'S JOURNEY - Campaigner for FACS -Fetal Anti-Convulsant Syndrome. Epilepsy, Sodium Valproate. 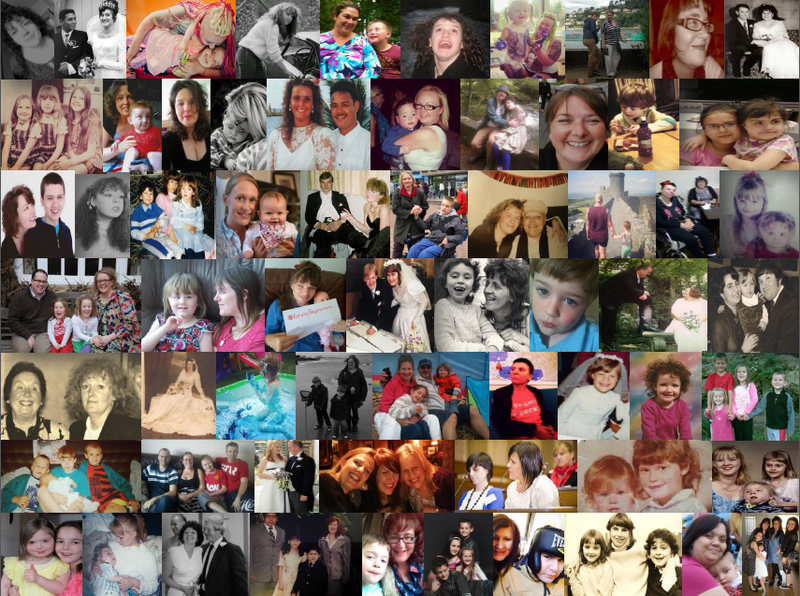 JANE RACA'S JOURNEY - Autism - Learning Disability, Cerebral Palsy, Letter to the Prime Minister. SANDY COSTALL'S JOURNEY - Son with Down syndrome inspired Mum to become a Learning Disability Nurse. 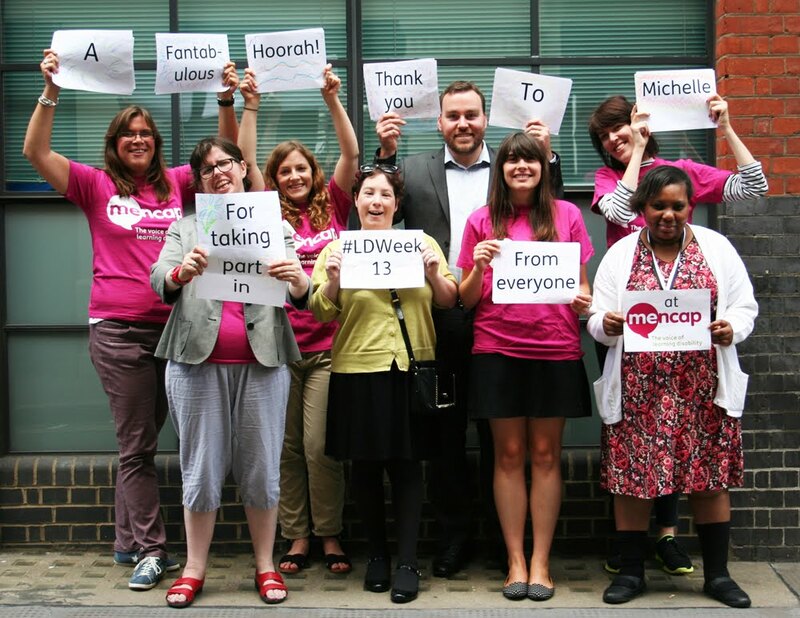 LESLEY CHAN'S JOURNEY - Charge syndrome, Deafness, Sign Language and Midwifery. JUSTINE BAILEY'S JOURNEY - Teenage son with Autism. SEN.
CLAIR COBBOLD'S JOURNEY - Mum with Epilepsy - Pregnancy, Childbirth. DONNA STREET'S JOURNEY - Mum to two young children with autism and SEN.
JO WORGAN'S JOURNEY INTO THE WORLD OF AUTISM - Autism, SEN - Pre-school and Primary.